D has a few of the puzzles from the Orchard toys range and he has always enjoyed sitting down to do them either alone or with me and Simon. They always challenge him and require his up most concentration. So when we where out shopping the other week and D found Orchard Toys Baa Baa game on the shelf for sale items we had to get it. 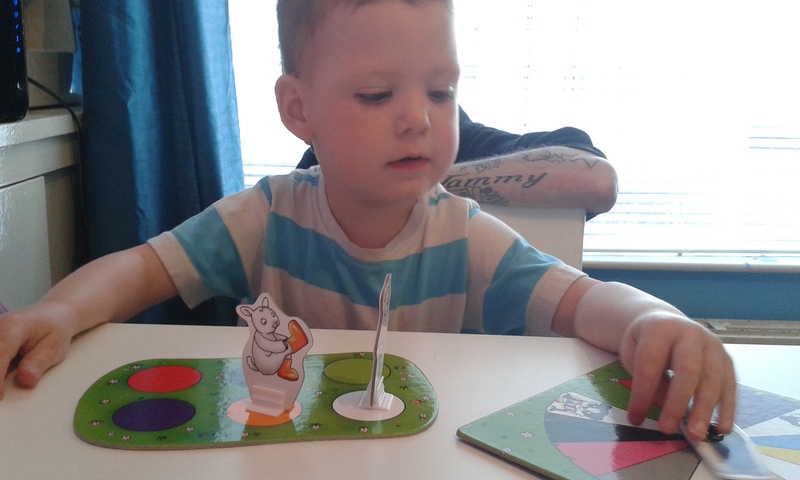 Admittedly he did think it was a puzzle but he was even more excited when I told him it was a game he could play. I had been looking into getting D some of the Orchard Toys games but was having a hard time deciding which to get. As I'm sure you can imagine D wanted to play his new game the minute we walked in our front door! It was new, exciting and best of all it was a game that was perfect for his age and abilities. We got everything out of the box and set to work getting the game ready to go. Setting up the game was relatively easy. Well for the most part, the little white stands for the sheep were a very tight fit and have edges that are just sharp enough to rip the sheep if your not careful. I do think that slightly adjusting the fit to allow the prongs at the top to be the same width or half a millimetre bigger than the bottom edge of the sheep would make it much easier. However once the sheep where attached they where very secure and stayed on even with D's fiddling. That took longer than I had expected and D was not very patient throughout my careful process. 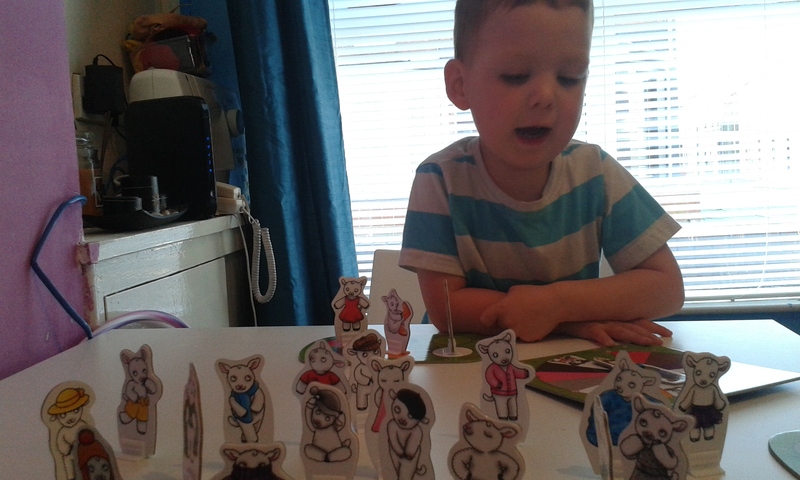 We got all the sheep standing up in the middle of the table and D got to pick a board for him and another for me. He took about half a second to pick and was so very proud of himself! We where ready to go with the spinner at the corner of the table between us. D went first and loved spinning the little farmer figure on the spinner around. Once it had landed he told me which colour he landed on, with a little prompting he also told me if he had the same colour on a circle on his board. He did (yay) and he got to pick a sheep that was wearing that colour ( I think it was white). I then told him he needed to put his sheep wearing white on his white circle on the board. The game itself is really that simple! There are also three sections on the spinner which have a picture of a sheep dog wearing a stripy multi coloured scarf. These sheep mean that you can pick any colour you like and pick up a sheep wearing your chosen colour. D didn't quite get this concept as the background is white and every other section has a coloured background so we play this part a little differently and D get's to pick a colour then turn the spinner around to that colour before he picks a sheep. What is your sheep wearing? Do you wear (insert clothing item) in hot or cold weather? Do you have any (insert clothing item)? What colour is the sheep? Are sheep always white or do the come in different colours? I was actually quite surprised by everything that D knew. He only struggled with the sweater vest and skirt neither of which he owns so is very understandable. He knew lots of things about sheep and he seems to think you can get orange sheep. He knows when you should wear many of the clothing items that the sheep wear and was able to tell me about wearing wellie boots in the rain to jump in muddy puddles after it rains! The game didn't take all that long to play through to the end and we managed to have a few games before dinner was ready. The game was fun for both me and D, we even managed to convince Simon he should play a game with us while he was waiting on dinner cooking. 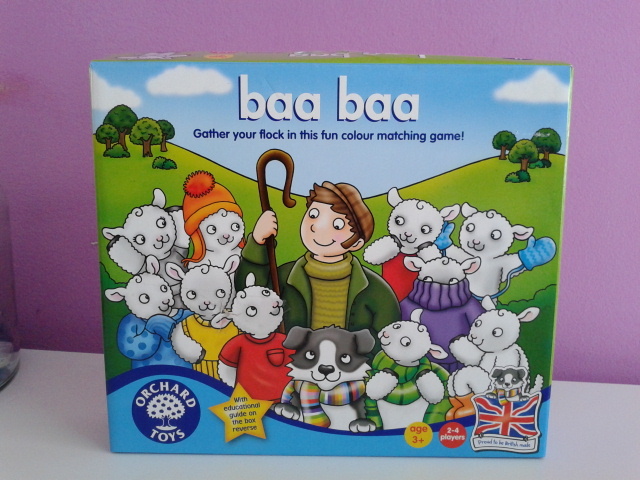 Baa Baa from Orchard Toys is a great game that can be enjoyed by all the family at any time of the day. 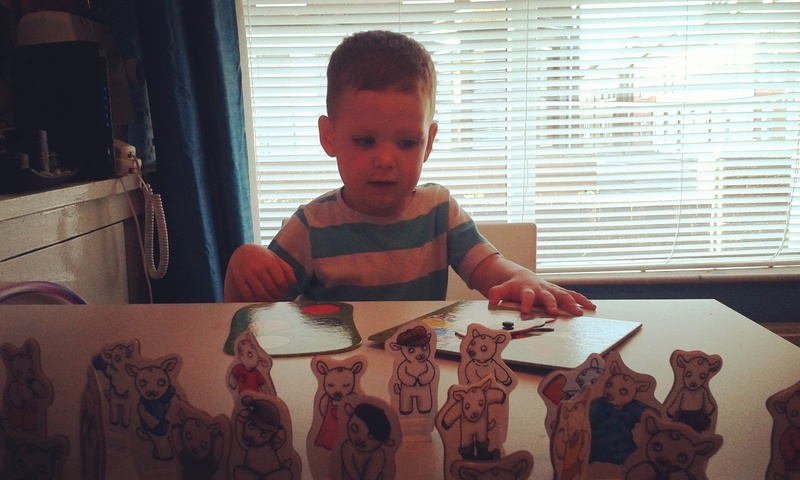 Baa Baa is recommended for ages 3 + and you can play with up to 4 players. Orchard toys does recommend the game be played by at least 2 people but I honestly think that D would quite happy sit playing the game on his own if we let him. 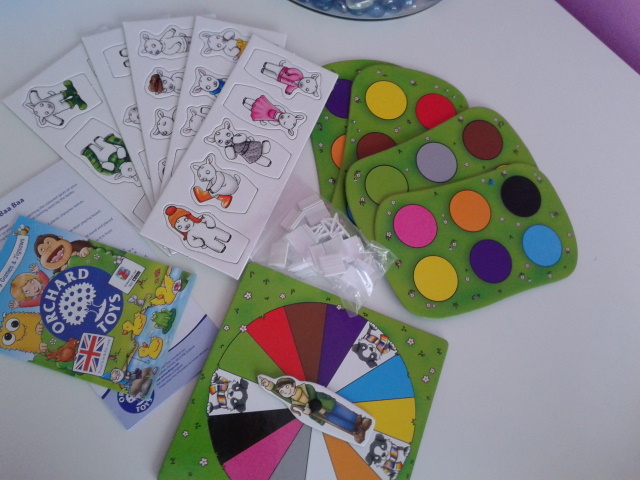 I would recommend the Orchard Toy Baa Baa game for any family with young children who are learning to match their colours, about clothing, animal or sheep and families looking for a great game to play together. We all really enjoyed play Baa Baa and I know that this will only be the start of Orchard Toys games collection as it was such a hit! You can purchase your own Baa Baa game from Orchard Toys on Amazon by clicking the link. The game costs £7.75 at the time of writing this post. Do you own any Orchard Toys Games? This game sounds fun. Our favourite Orchard Toys game is still The Shopping Game, we have the older version (minus the smartphone!). 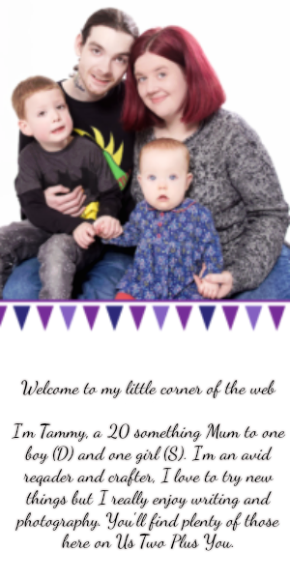 loaded on my mobile .. I'm not even using WIFI, just 3G ..
We have loads of Orchard Toys games and love them all. I must admit this isn't one I've come across before though.